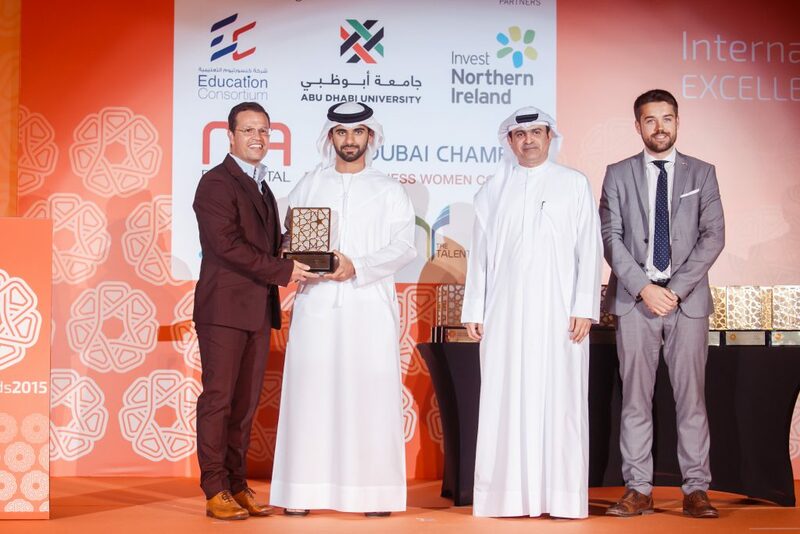 The Finals and Awards Ceremony for the International Business Excellence Awards 2015 were held on the 20th and 21st of May 2015 at the brand new 5* Hyatt Regency Creek Heights Hotel in Dubai. The two day event was an exciting affair celebrating business excellence and “best practice” from around the world. Pictured above (from left to right): GSD® CEO Graham Shapiro proudly receives the IBX Award from HH Sheikh Mansoor Bin Mohammed Bin Rashid Al Maktoum. Also in the photograph are HE Sami Al Qamzi, Director General of the Department of Economic Development (Dubai) and Mark Hamill, Managing Director of Awards International UAE.